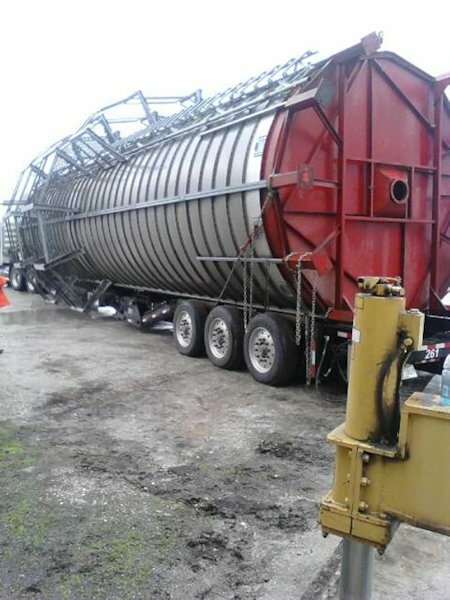 After losing their dryer to fire last year, Stronghurst Grain & Merchandise purchased a Meyer 1400 dryer that was delivered and installed last week, to be ready for harvest this fall. 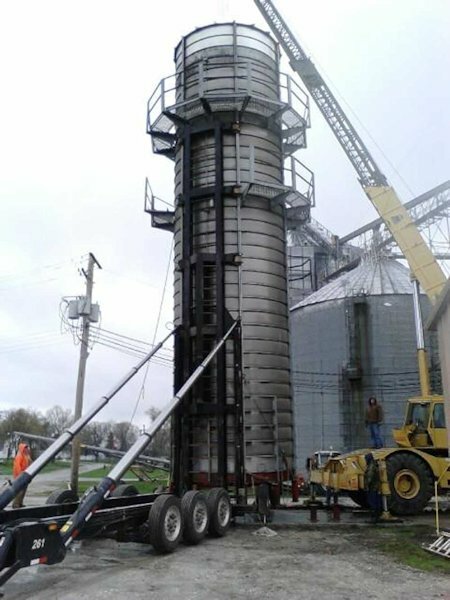 "The dryer will about double the capacity of the one removed," said Kevin Box, manager at the grain facility. 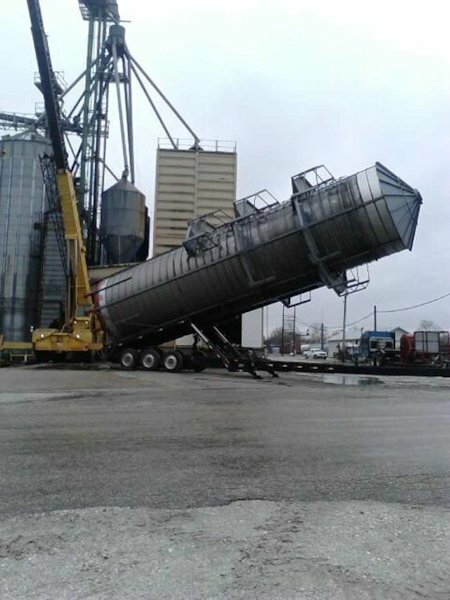 Box said the dryer came out of Indiana and was hauled in on a special trailer. "It arrived around 10:00 a.m. in the morning and a little after 5:00 it was in place. There was a very good group of people who showed up to help. Between them and the employees, everything worked out as needed. The only thing that could have been better was the weather."